Will the Hover Ride / Flying Bike be a reality in the future? The BMW Motorrad is one of the reputed motorcycle manufacturers. It recently unveiled an entirely new design concept - the Hover Ride. BMW Motorrad and LEGO Technic came together to showcase world’s first flying bike concept called hover ride. Incidentally, the LEGO Technic BMW R 1200 GS Adventure model kit made up of 603 parts is the real inspiration behind this concept. A BMW junior company which is an innovative training unit of the BMW and LEGO Technic came together for this project. The BMW R 1200 GS comes with LEGO Technic kits already. It entirely rebuilds the LEGO model into the full-scale replica of the bike. It is the first LEGO product recreated into a full-scale model. 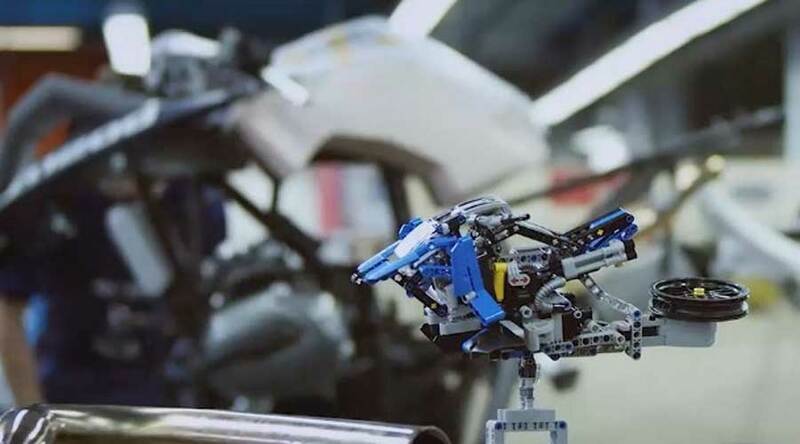 BMW teamed up with the LEGO Group as both companies follow common working principles. Innovation and tradition are key strengths of these commercially successful companies. This motorcycle is characterized by some iconic components like authentic Telelever Front Wheel suspension, twin-cylinder boxer engine, and Universal shaft drive. However, every component here is in detail and has a neat design. A BMW Junior company based in Munich, Germany is the key designer of this concept. The BMW Trainees from different departments worked together to create something beautiful. Besides, this has been never done before. 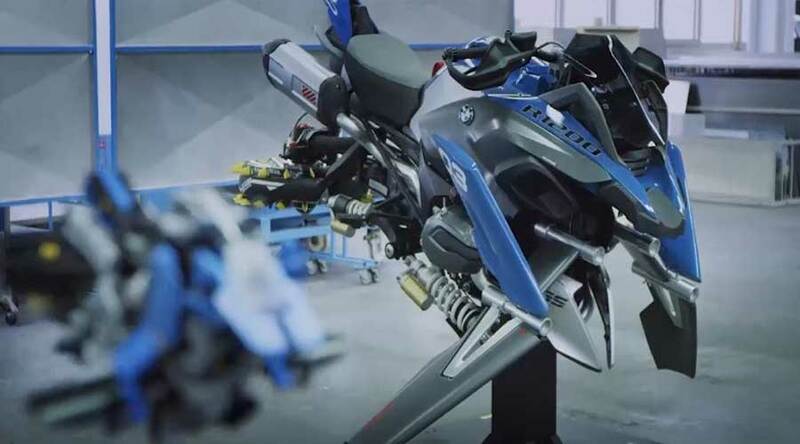 BMW trainees used series production parts of BMW R 1200 GS to build the life-size model of concept Hover ride. Furthermore, the modified front wheel rim forms a propeller which the company specifically designed for this project. 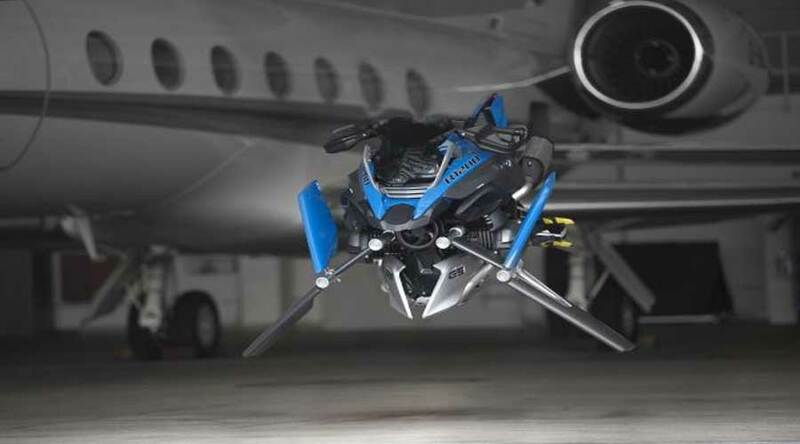 This flying motorcycle typically incorporates BMW Motorrad design DNA and some styling elements from LEGO Technic. It is still unclear when this amazing concept will finally make it to the production. But by unveiling this concept, it seems like BMW is investing heavily in its future. Previously, BMW had also showcased the BMW Motorrad Vision Next 100 which gives a preview of what to expect in the near future. In conclusion, all these concepts clearly indicate the future of motorcycling is really exciting. Who knows, we will fly on a motorcycle one day instead of riding..!